We are recognized as the prominent Manufacturer of Goldsmith Machinery for Wire and Sheet Rolling, Goldsmith Machinery for Wire Drawing,Gold & Silver Making Machine.. These are widely admired for their high durability, high tensile strength and rust resistance. 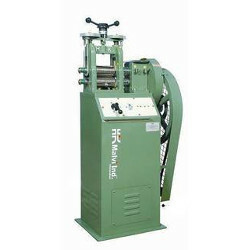 With our in-depth knowledge and vast experience, we are offering a comprehensive assortment of Jewellery Wire & Plate Rolling Machine for Goldsmith - Tar Patti Rolling . The rolling machine is made of high grade of steel and pass through the process of hardening and plate with chromium that is both suitable for gold and silver flattening. Our offered machine opts out with two head and single head models, and provides customized wire and sheets rolls for chain and bangles production. 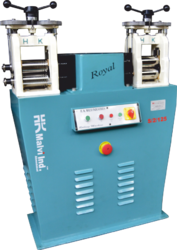 HK Malvi 8 x 4 Inch Rolling Series Designed for Jewellery Chain & Bangles Plant. Heavy Duty Way to Way Wire Rolling Mill. 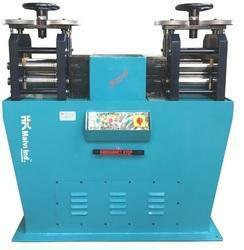 HK Jewellery Wire & Sheet Rolling Machine Designed for Jewellery Making Chain & Bangles Applications. HK produces exclusive rolling mill for gold industries. Being a quality oriented organization; we are presenting an innovative collection of Gold Rolling Mill Machine. Known for their efficient functioning, these machines are extensively used for making Gold/silver wires and sheets. 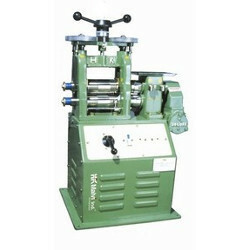 We provide this rolling mill on several specifications to choose from. The rolling mill machine offered by us is inspected from our side on numerous parameters so as to deliver a perfect range to customers. 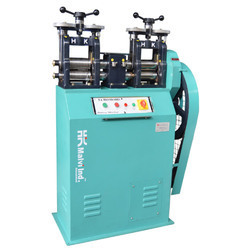 We hold expertise in offering an exclusive array of Single Head Tar Patti Rolling Machine. 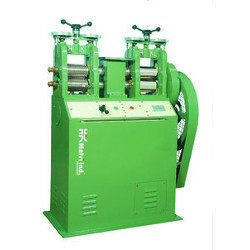 This rolling machine is used for making heavy duty wires and sheets. Our rolling machine is demanded in the market owing to its longer service life, trouble free operations and robust construction. The rolling machine offered by us is inspected by our quality controllers in order to dispatch a flawless range. We feel proud to announce ourselves as the dependable organization engaged in offering Combine Rolling Goldsmith Machine that provides suitable fabrication support to automotive, engineering and other manufacturing industries. Made available with electrically operated & drive gear box based functioning, we offer these systems with fabricated type and casting type construction options. Our customers can avail this rolling machine from us as per their needs at industry leading rates.